Wondering if your Cocker Spaniel is actually a mixed breed? Well, you might need a DNA test to help you find that out! With so many kits in the market, how do you pick the one that suits you best? Most beginners are commonly confused about which kits they need. Well, not to worry! We’ve compiled a list of the best and most essential dog DNA test reviews. These basic kits help you easily and safely test your fluffy pet without any problems! These products, when combined together, will make the most inclusive grooming kit for all dogs. 1 What are the benefits of a dog DNA test kit? 4 What’s the best way to use it? What are the benefits of a dog DNA test kit? Knowing your pet’s DNA makeup is actually quite important. There are some specific benefits of having a DNA test during your dog’s early life. It helps both the owner along with the dog to know its health conditions during its formative years. If you have gotten yourself a dog, not knowing its breed can also be a problem. It can be very overwhelming for people to figure out the breed later in life. This is because each breed has its own specific care, requirements, and health risks. These dogs more than likely lose their lives to other preventable conditions. Otherwise, they end up at shelters since owners aren’t able to care for them. ​Each DNA test differs from the other. DNA strands have great lengths, so every test will simply look at specific points known as “genetic markers”. These points are the ones that are verified as being helpful when figuring out certain traits like breeds, genetic conditions, and risk factors. The more markers you can get checked, the greater accuracy the DNA test will offer. While tests that target more genetic markers are also more expensive, their accuracy makes the cost more worthwhile since the information is valuable in both the short and long terms. ​You can find about 192 dog breeds which are registered officially by across the globe. However, most DNA tests can’t cover all these different breeds. More often, tests will offer results for as little as 84 breeds. That’s why you should make sure to figure out the breed list that each test offers. If a test has a short list, you’ll have less accuracy finding your dog’s breed. Since DNA tests use breeds within their databases to compare with the breed lineage of your pet, you’re better off using tests with larger varieties for better accuracy. ​Certain DNA tests for canines can look at an average of 140 to 160 genetic conditions. In fact, others can check for even more than that. Those tests will provide you with more informative details. You can then easily convey them to your vet for your dog’s short- and long-term health. That’s why it’s better than a DNA covers a wider range of risks which you can test your pet for. That being said, some other DNA tests don’t, in fact, check any genetic marker at all for risks. These tests will provide you with vague, generic results by just looking at the basic data of your dog’s breed. Such reports won’t help prevent dangerous genetic conditions, so go for DNA tests with wider risk coverage. ​A DNA test for canines can also vary with regards to the details of physical traits it provides. Like with health screening, certain brands report traits according to your dog’s breed instead of its actual DNA. You should be wary of any test that provides such vague results. Look for brands that effectively utilize your pet’s unique DNA traits to make a helpful, informative physical report. Again, the price will be higher for such efficiency, but it will be worth it. Having the knowledge that you own a mixed breed dog isn’t really going to help you out easily with regards to how to ideally care for it. That’s where the Wisdom Panel 2.0 Test Kit comes in as a great assisting tool. It is pretty similar to the Wisdom Panel 2.5 kit that is its successor, with only a slight limitation in scope. Even so, this test is pretty sensitive in terms of identifying a number of different breeds that could be part of your dog’s interesting makeup. This is one of the reasons you’ll find that the 2.0 kit is actually slightly more expensive than the 2.5 kit as well, since the original targets a higher sensitivity quotient. The idea is that if you are already familiar with the idea of owning a mixed breed dog, getting details regarding its ancestry can help you personalize the behavioral responses, obedience training, required nutritional balance, exercise, or health care regimens for it. Besides, even if you have a mixed breed and don’t require confirmation, the details you get from the kit will make you more responsible as a pet owner regardless. 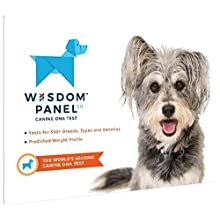 In the end, the Wisdom Panel 2.0 is ideally designed for dog owners who need some sort of assurance regarding their pet’s risk of disease or other traits, and it’s an affordable way get that assurance. It’s not easy finding a certified way to get useful information pertaining to dog genetics to use at home. The Mars Veterinary 2.5 Wisdom Panel is one of the solutions to this ordeal. 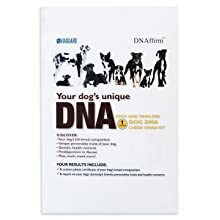 It is an affordable, accurate DNA assessment tool that has many positive reviews within the dog owner community at large. While it certainly has its limitations, it manages to provide a viable option for dog DNA testing with cheap price. You can receive your results within 2 or 3 weeks, along with a certificate that officializes the breed ancestry of your pet. 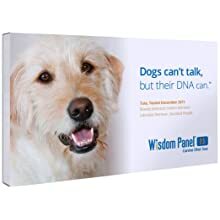 The one drawback is that the Wisdom Panel 2.5 only deals with a limited number of genetic markers unlike other kits on the list like the Embark. This can be an issue if your pet happens to be a mixed breed with no known disease risks. Even so, it does offer great sensitivity to pinpoint genetic data regarding multi-drug resistance in dogs. This can help you find other effective treatments if your dog has some infection or any other problems with health than can require medication. While the 3.0 and 4.0 versions are available in the market, people still prefer this as a genetic tool since it comes cheaper than its predecessor, as discusses above. It also manages to hold its own place against the newer versions in sensitivity and accuracy, albeit at a higher price. 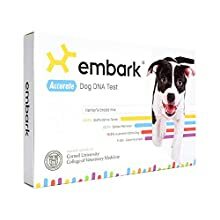 Embark’s Dog DNA Test Kit boasts a high accuracy rate with its results, which can be confirmed by the mostly positive online response it has received. One of the advantages of this canine DNA Test kit is that the database has greater than 200,000 genetic markers. This is a massive collection of data that any dog owner can easily and conveniently utilize. This kit is especially useful for people who might have issues regarding the ancestry lineage of their dogs. Some people who have gotten technically pure breed pets are commonly surprised when they find out their dogs are far from pure breeds. That’s why this kit allows dog owners to customize their pet care according to the main traits of their pets. Knowing about a pet’s recessive traits can also help relieve long-term anxieties about any potential abnormalities that may pop up in your dog. What’s even better is the information bank that comes with the test, providing you with details of around 160 different genetic conditions. The Embark website explains that the test is highly specific for identifying the myelopathic disease, exercise-induced issues, blindness, heart conditions like myopathies, and also multi-drug resistance. These are especially important conditions a dog owner might want to be aware of. In the end, Embark’s DNA test kit is great as it offers a three-pronged method of catering to your pet: specific breed detection, full genetic marker check, and effective genetic disorder evaluation, which is why it is on our list of best DNA test kit reviews. This DNS kit is designed for the wellbeing of your canine friend over the duration of a lifetime. It makes use of an easy cheek swab to get a plethora of genetic information. Figuring out these important details can help you know which behaviors your pet will likely develop, what exercises work for it, and how you as a pet owner should then be able to handle it. 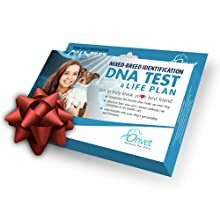 What makes the Orivet DNA test unique is that unlike other tests on our list of dog DNA test reviews, this product aims to provide a lifelong plan. It reveals any genetic conditions your dog is capable of getting so that you and the required professionals can keep it in check to assure that each pet lives a much longer life than if it had not been tested. The database that comes with the Orivet DNA test covers about 250 breeds, encompassing the overall health of each. The test itself is a quick and easy cheek swab, which along with the extensive database makes for a great customizable DNA tool. That said, it is one of the more expensive choices out there, so maybe avoid the test on a low budget! Finding a balance between price and efficiency is always a major issue when looking for the ideal DNA test. In this list of dog DNA test reviews, the DNAffirm test hits middle ground by having better speed than the Embark test, with longer lasting results than the Mars Veterinary. All of that while maintaining an affordable price range. That said, the results from this genetic test might not really be as accurate as the other products mentioned on the list. A unique feature of the test is that it relies on your pet’s picture when the sample is being sent, a different aspect from all the other tests which may not be as reliable. The one way the DNAffirm test stands out is that it is exceptionally decent at pinpointing the primary breed of a pet. However, the other levels of breed lineage greatly differ from the other tests, which can be a cause for concern. Even with this short drawback, the DNAffirm test is still quite useful. 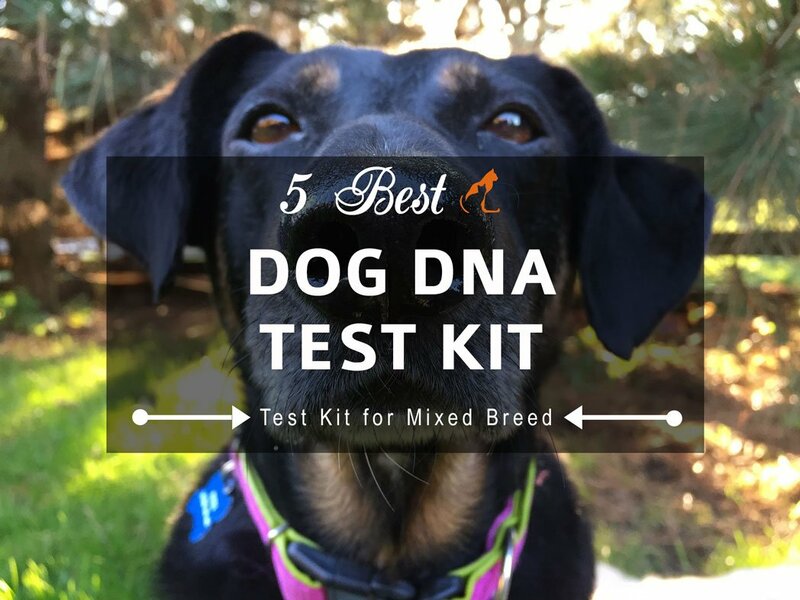 If you’re just looking for a basic test that easily underlines your dog’s main breed and traits, this kit will definitely suffice. You also get certification for your dog’s pedigree that can be framed and hung on your wall as a proud dog owner. The first step is to get your pet’s DNA, which is much simpler than it may seem. All you have to do is place a cotton swab in the mouth of your pet. Next, scrape the swab on the walls of the cheek to get a DNA sample. Although the process sounds simple, the way you collect the DNA can affect the accuracy of your test results. If the sample quality isn’t up to the standard, then the type of DNA test won’t matter at all. The sample quality relies solely on the user’s ability. So, owners must be careful to follow instructions accurately for each DNA test. Most of the tests in our dog DNA test reviews provide users with a self-addressed envelope or package. You can send this back to the labs with the sample included in it. This step is also pretty easy. However, again, for the sake of accuracy, you’ll have to follow the instructions provided. Also, remember to label your samples properly for the best results. Within a span of 2-8 weeks, you will have received your DNA report. This usually consists of details regarding the ancestry of your pet. This allows you to prepare with the right training program for your dog according to its breed. To ensure that the reports are highly accurate, rely on DNA tests that have labs. Ensure these labs cover a wide variety of markers, conditions, and risks. If you manage all these factors properly and simultaneously, then you will have guaranteed accurate results. Now you know what it takes to get the best dog DNA kit, and how to best use it. This way you’ll be able to keep your dog safe and healthy throughout its life! While all these products are useful, if we had to choose one, we would choose the Wisdom Panel 2.0 Kit. This is because this kit offers more in terms of accuracy, a variety of database, price, brand name, and quality. With that said, you should hopefully be ready to get your pet’s breed ancestry checked in no time!